Shoulder pain is a fairly common occurrence, with most people having experienced it at least once in their lives. Your shoulders are a collection of bones, joints, muscles, and tendons that help conduct the mobility of your arms. When a shoulder is experiencing pain, soreness, tenderness, or restriction, it becomes harder for these structures to control movement. Dislocated shoulder, an injury where the upper arm bone pops out of the shoulder blade socket. The shoulder is more vulnerable to dislocation because it is so mobile. This injury is characterized by a visible out of place shoulder, bruising, swelling and intense pain. A dislocated shoulder needs immediate medical attention. Falls, exercise injuries and physical traumas can lead to a dislocation. Frozen shoulder, also called adhesive capsulitis, involves a stiffness in the shoulder joints. Frozen shoulder occurs when the shoulder's capsule of connective tissue tightens around the joint. This condition begins gradually before worsening over time. In the initial freezing stage, movement becomes limited. Then in the frozen stage, the pain begins to disappear but the movement is still restricted. In the final thawing stage, the shoulder shows signs of improvement. Treatment for this condition usually entails shoulder exercises and numbing medications. Rotator cuff injury. The rotator cuff is a collection of muscles and tendons surrounding the shoulder joint, holding the upper arm bone within the shallow socket of the shoulder. Rotator cuff injuries are common for people who frequently do overhead motions with their arms. Tendinitis. Inflammation of the tendon, a cord that attaches muscle to bone, can cause pain outside of a joint. You may need surgical correction for tendinitis if it becomes severe or it leads to rupture. Strains and other injuries. A strain in the stretching or tearing of the bands of tissue that connects bones together. Other injuries can result from overexertion of the shoulder. Shoulder Bursitis. Bursae are the fluid sacs that help facilitate smooth movement between joints by reducing friction. Bursitis is the inflammation of the bursae. This inflammation is often associated with minor traumas like impingement and tendonitis. Bursitis starts is characterized by a gradual pain over several weeks. The pain spreads from the shoulders to the elbows or wrists. This condition is worsened by arm movement. If your chiropractor suspects bursitis, he or she might perform an examination to test for rotator cuff tears or tendinopathy. 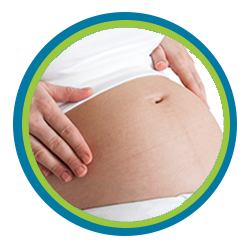 Secrest Family Chiropractic is committed to providing Scottsdale with quality healthcare. 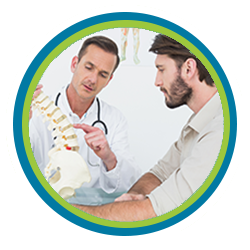 From neck whiplash to shoulder joint pain, we can help you with a variety of chiropractic services. Contact us at 480-462-5583 to schedule an appointment.